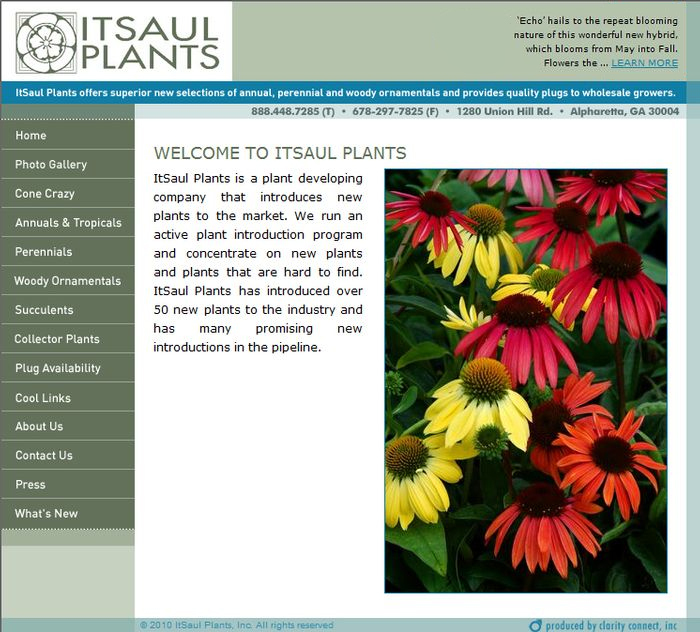 ItSaul Plants is a plant developing company that introduces new plants to the market. They run an active plant introduction program and concentrate on new plants and plants that are hard to find. ItSaul Plants has introduced over 50 new plants to the industry and has many promising new introductions in the pipeline.